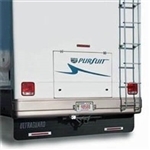 This is just the mounting angle bar for the Ultra guard, below are links to the two sizes for motor homes. I have also included the instruction manual that tells you how to decide if either of these will work for your motor home. Hope this helps.